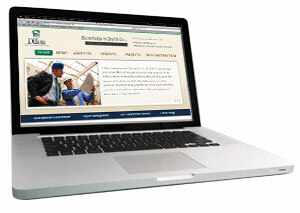 Dillon Development Partners Has a New Website! Adventure Park USA, the newest Maryland family entertainment facility, is a $10.5 million project located in Frederick, Maryland. The park was developed on 20+ acres “with one purpose-fun for the whole family.” The Western theme runs throughout the complex from the arcade to the café, from the paintball park to the ropes course. Among the first hurdles in bringing the idea to life was finding a suitable location. Site selection began near RFK stadium, then it moved to locations in Northern Virginia and Laurel, Maryland, before finally settling on Prince George’s County, Maryland, just five miles from the Washington Redskins’ original home in the District of Columbia. Development & Investment. Dillon Development Partners can help you assess how your real estate investment is performing and will work with you to improve performance. Project Management. Our professionals save you time, money and aggravation. We serve clients who require expertise, knowledge of the marketplace, experienced management and attention to detail. Green Energy. We approach each project with an open mind as to which alternative energy technology, if any, is the best match for the site, intended use and budget. Stay up to date with the latest news, product announcements, and more!